Subsidence is the unexpected movement of the earth’s surface due to changes that occur underground. Subsidence becomes significant when a building’s foundation is situated on the affected area. Foundations act as the interface between the entire house load (walls, floors, roof, etc.) and the ground. A foundation is expected to endure a certain level of ground change, but when the change becomes excessive, either the foundation cracks or moves entirely, taking the house with it. Ground changes due to subsidence and of the magnitude described are rarely encountered in Ireland, however they do exist. 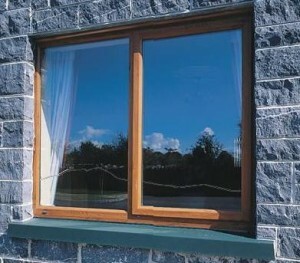 Is Subsidence the only cause of foundation failure in Ireland ? 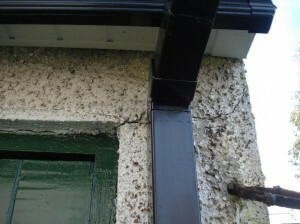 Subsidence is far from the only cause of foundation failure in Ireland. Each case is site specific, but the most common cause is water damage from drains, water mains, heating pipes, blocked gullies, etc. Insufficient or inadequate site investigation at design stage. The effect of water movement in the subsoil beneath the foundation. This includes varying water tables, where the recent climate change (exceptional dry spells after prolonged rainfalls) is a contributory factor. The accumulation of water from paved areas and where is not properly disposed and allowed to discharge into the ground near foundations is also a cause. Some sub-soils (usually clay) are prone to shrinking when moisture content decreases. Seasonal change is a significant factor here. London in the 80’s; a major effort to repair leaking water main pipes throughout the city took place and it resulted in a sharp drop in the water table. This resulted in the soil drying out and shrinking considerably, causing acute foundation settlement. Certain vegetation such as large trees in close proximity to the foundation. Some plants / trees extract more moisture than others and when this occurs locally and have a considerable impact during prolonged periods of dry weather. If a building exists in a location where limestone is common, then underneath the foundation may be prone to a chemical reaction known as karst. This causes the limestone to break down and dissolve, thus weakening the area under the foundation. How to recognise a foundation problem in your home or office? 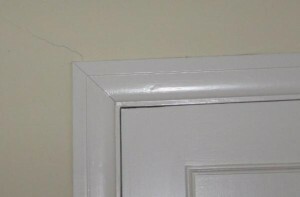 Cracks in external blockwork, brickwork or ceilings. Doors sticking in their frames. In extreme cases, windows cracking within their frames. 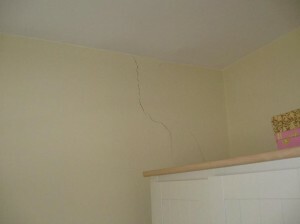 Cracking of walls draw attention to issues with the foundation. Doors sticking in their frames. In extreme cases, windows cracking within their frames. External cracks are a sign of foundation failure. If you are interested in a foundation audit to assess whether subsidence or a ground issue will cause foundation/structural problems as building work progresses, contact us in our Dublin office on 01 6310300 or in our Cork office on 021 4345999.